If someone attacked your family, would you be an asset or a liability? If the unthinkable happened, and a criminal stood in front of you threatening to harm the people you love most, would you know what to do? We thought about starting this article with statistics on crime in East Texas, but this isn’t really about other people being assaulted, robbed, raped and murdered. Knowing the data won’t help when your spouse, your children are afraid and your fear for them strangles your thoughts. Amos Owings, Kilgore PD Defensive Tactics Instructor and Longview S.W.A.T. team member knows a thing or two about dealing with extreme violence. He’s who East Texans call in a crisis. For S.W.A.T, he has the task of responding to violent crimes in the early stages to save lives. As an instructor, he teaches other officers to do the same. Everything he does is not just about saving himself, but being equipped to help others in the face of extreme chaos. Years ago, when he was developing a realistic training system for his department, he chose self-defense techniques taught at East Texas Krav Maga. He says the same training can be helpful for citizens. Here are excerpts from our interview with Amos. From your experience, what do East Texans usually do when faced with violence? They become a victim. Your primal self-defense instinct is putting your hands up, so we see self-defense wounds on the hands, arms etcetera. They might fight back, but it’s nothing substantial. I rarely see the fight has been taken to the attacker. Normally the attacker is going to prevail because the fight is not brought to him. You start out the victim and continue to be the victim. How have you seen that lead to negative outcomes? We see everything from family violence to bar fights to car jackings to robberies. The end result is the victim is beaten and bloody. What would be a better response? What do you teach trainees to do? One of the main things is, you don’t wait to get hit. You don’t wait for it to escalate. Action is faster than reaction. Learning the cues and indicators for an attack is huge. Then, you have to know how to respond and how your action is going to affect the attacker. It all goes back to the idea the attacker is usually the one that prevails. The first one to get on it is the one to dominate that situation. You can’t wait to become a victim. That’s when you get knocked out, knocked down or beaten over the head with something. And regular people can learn that from East Texas Krav Maga training? You don’t just learn how to deliver a front kick, you know your options and the effect. You learn to see pre-attack indicators. You also become inoculated to stress so you think clearly during a situation. You may be able to avoid it altogether. You’ve been in combat enough times during training to know what’s going down. Most people are so shocked. They’re shocked by physical aggression and by people in their space. Krav Maga training allows you to think. I think, “Right before someone punches me, they do this.” I know how to respond. I’m not frozen. It’s not a closed case at that point. Krav Maga is based on gross motor movement that’s pretty natural, but you have to have an aggressive mindset. If I let the attacker continue to act, I’m in his loop. When I take the fight to him, he is now in my loop. He has to react to my actions. Is there any other reason you recommend Krav Maga, firearms training, tactical medicine training and so on? I’ve gotten to pressure test Krav Maga a lot. I haven’t been able to poke any holes in it. I fight everybody in my department, and we go all out. I’ve pressure tested it and had them pressure test it, and it just works. It’s easy to teach, easy to learn. With the right mindset, it’s very effective. It’s a good all-around system. Sometimes you have to handle it yourself. All of history has been violent, and man continues to be. I think everyone should know how to defend themselves. It’s not just a right, it’s a responsibility. It’s dangerous out there. If you’ve got anybody you care about, you can’t always rely on other people to solve your problems. Krav is a necessity. 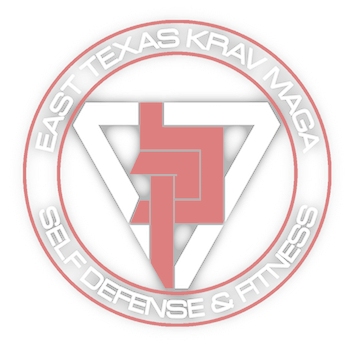 From the very first class, East Texas Krav Maga students go home more prepared to defend themselves. Learn the world’s best self-defense system combined with intelligent weapons training. We train for real life, and we tailor that training to real people. Fill out our online form to try a class today. The founder of Krav Maga Imrich “Imi” Lichtenfeld (1910-1998) RIP..
Imi was born in Budapest, Hungary and raised in Bratislava, capital of Slovakia. His father Samuel was a professional wrestler, weight lifter and performed displays of strength in a circus. After his work in the circus, Samuel opened a wrestling club and joined the city police, later becoming the head of the detective unit. As a child, Imi trained in wrestling and boxing and won several European competitions in these sports. In the 1920s and 1930s Imi was one of the most well-known and successful European wrestlers in his weight category. After the enactment of the Nuremberg laws and concordant with the rise of anti-Semitism in Europe in the 1930s, violence against Jews became rampant. Imi became the undeclared leader of a group of young Jews who actively prevented the entrance of anti-Semitic rioters into Jewish neighbourhoods and the harming of its population. Until the 1940s Imi took part in numerous violent clashes and street fights against anti-Semites. During this time Imi first became aware of the fundamental difference between combat sports and street fights. In 1940, Imi boarded the ship “Pancho” with a Paraguayan visa, seemingly leaving his home country for South America, however the ship was actually destined for illegal immigration to Palestine, which was under British mandate at the time. The Betar Movement, a Zionist youth movement heavily involved in resistance to the British in Palestine (and paradoxically fighting the Nazis alongside the British in Europe simultaneously), arranged for the ship’s voyage. While the “Pancho” was originally supposed to carry 150 youths, it ended up sailing with 500 on board. The ship was marooned in front of the Greek coast and Imi and four others rowed a lifeboat to Palestine for five days but were eventually detained by a British battleship and were brought to Egypt. Imi joined the British army and served in the Czech brigade. After being discharged in 1942 he was allowed to enter Palestine. The Jewish people in Palestine of the time had very few rights and Jewish settlements suffered from frequent harassment by Arab gangs. Yitzhak Sade, head of the paramilitary organization “Haganah” which was created to protect the Jewish settlements, turned to Imi and asked him to train the organization’s special forces, “Palmach” and “Palyam”. Imi developed offensive and defensive techniques utilizing bare hands and edged or blunt weapons, as the British didn’t allow Jews to carry firearms). These techniques were collectively referred as the “Kapap method” at the time (Kapap – “Krav Panim el Panim”; face to face combat). With the formation of the State of Israel, Imi became part of the Israel Defense Forces (IDF) and served as its main physical fitness and Krav Maga instructor. Imi adapted his method for military requirements, introducing techniques involving the use of firearms, and trained the elite units of the IDF for 16 years. In 1964, Imi left the IDF after his method became an integral part of training in the Ministry of Education and all Israeli security forces. He opened training centres in Tel Aviv and Netanya and began adapting Krav Maga again, this time to fit civilian needs. During these years Imi trained the next generation of Krav Maga instructors, who would later spread his teachings and establish their own Krav Maga organization. Despite his impressive professional accomplishments, alongside the incredible adventure that was his life, Imi was the exact opposite of the stereotypical muscle man: he was sensitive, humane and attentive to those around him. To those who knew him personally or professionally, Imi was the quintessential European gentleman: he was humble, respected others, was sportive and fair, strove for peaceful resolution to conflict and avoided the use of unjustified or exaggerated force. He was a spiritual teacher to his many followers who consulted him in all matters – professional or personal.